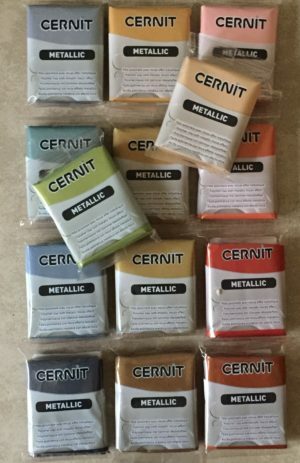 Color Inspirations 2.0: Testing the New Metallics! The project will be a new variation of the pivot beads project in Chapter 2 – Pivot Bracelets! 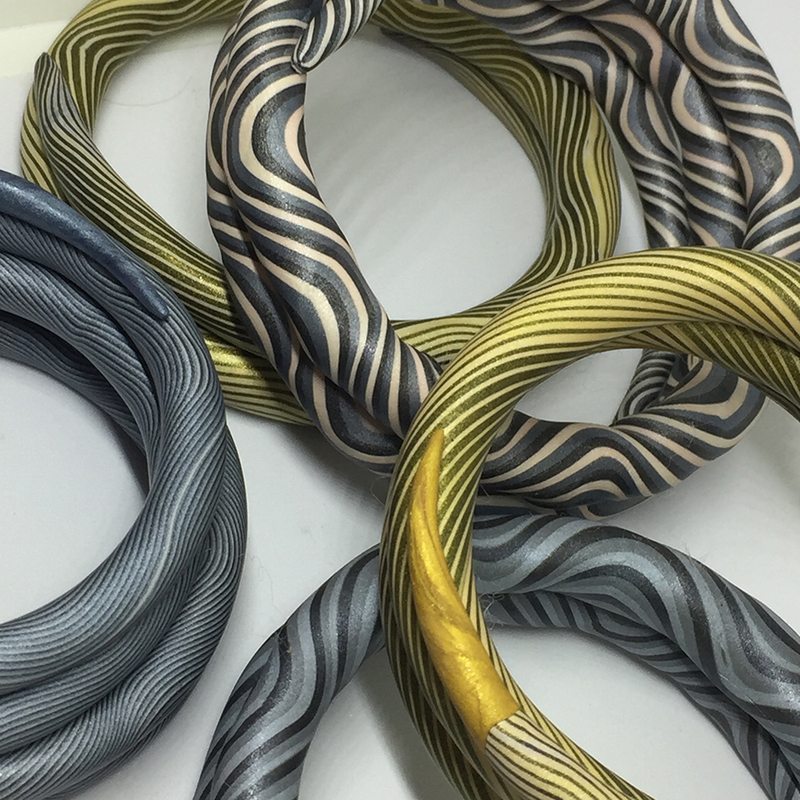 Learn how to use Maggie’s signature ColorWash technique with striped canes to make a collection of bracelets in the limited palette of the metallic clays. Class Length: One Day. Six hours of instruction. Instructor Fee: $75/student plus travel and lodging. Home stay is fine. The total cost is dependent on site expenses and is determined by the hosting organization. If possible, the polymer will be donated. If not, polymer will be ordered for the class and $20 will be added to the fee. Polymer Guilds: Contact Maggie for group/guild pricing. 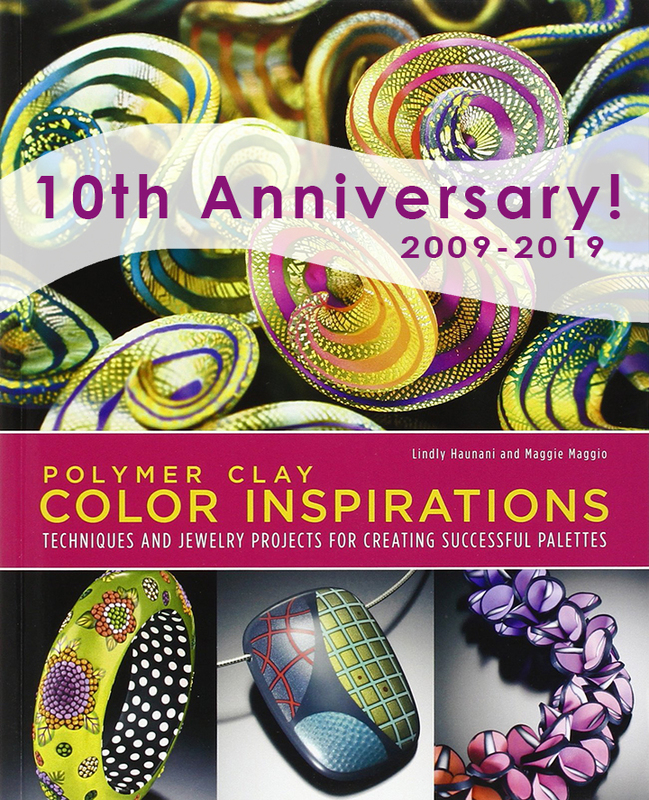 Note that this workshop can be combined with a two-day workshop as an optional add-on for polymer clay artists. Classroom Requirements: Demo table and chair. Dedicated convection oven, whiteboard or flip chart with markers. Additional chair for each student at demo table if possible.